Don’t you think there is just something about ice cream that bridges the gap between childhood and adulthood and levels the playing field so to speak? I get just as excited as my kids do when I hear that familiar tinkling sound of the ice cream truck coming up the street. Not because I’m so eager to get a treat, even though I do love me a creamsicle! But because it takes me right back to being that little girl with 2 long braids, clutching a quarter in my hands, waiting with my sister on the front porch on a hot summer day for the ice cream truck to turn the corner. 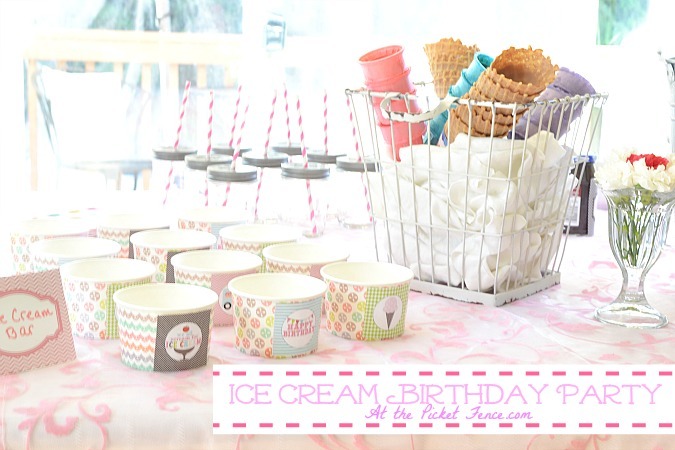 So, when it came time to plan my daughter’s 6th birthday party (she turns 6 at the end of this month) we couldn’t think of a better way to celebrate my very sweet girl than with a very sweet Ice Cream Themed Birthday Party! In order to make it easier for everyone to build their ice cream creations, I pre-scooped the ice cream, put the scoops back into the containers and then froze them again. 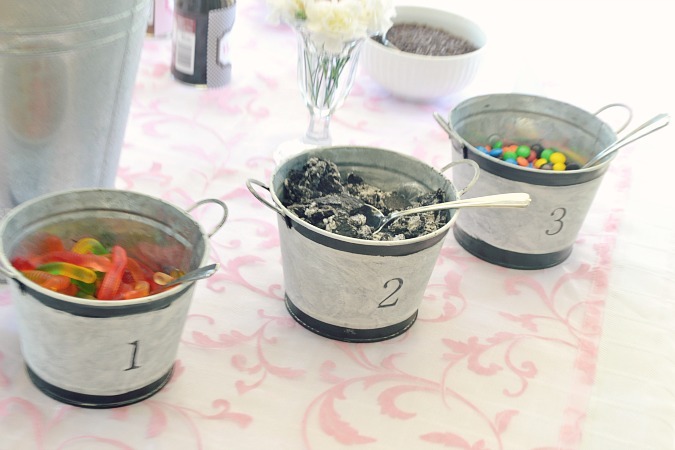 When it was time for the party to start, the ice cream was put into an ice-filled bucket to keep it from melting. 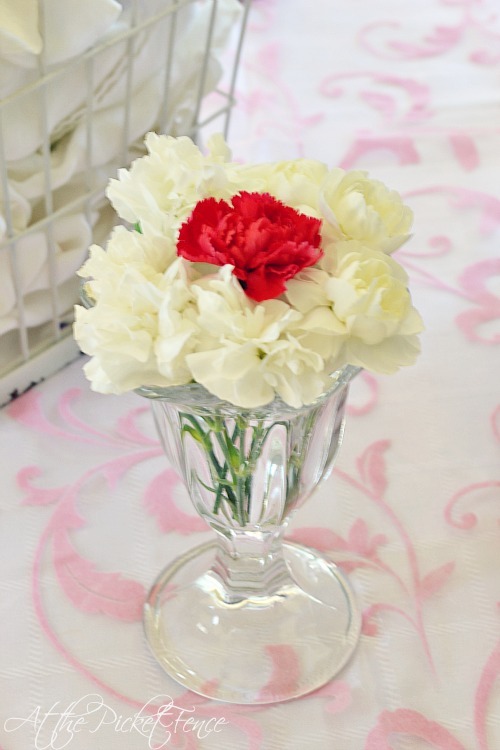 Simple little ice cream “sundae” floral arrangements were made using white and red carnations. 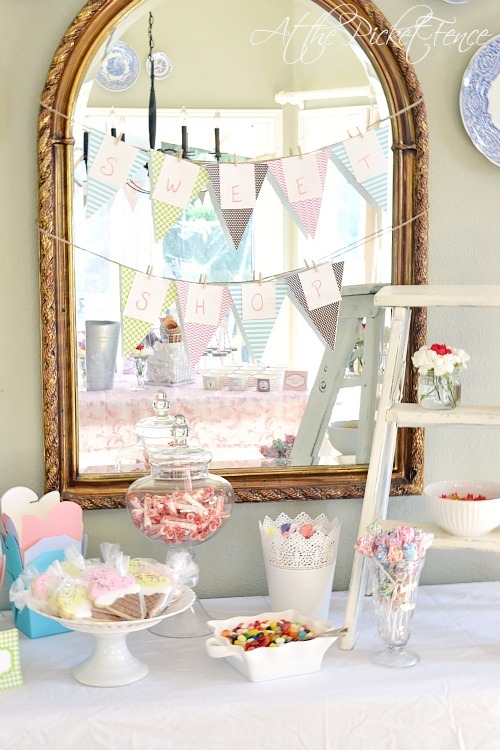 And we set up a “Sweet Shop” for my sweet girl. 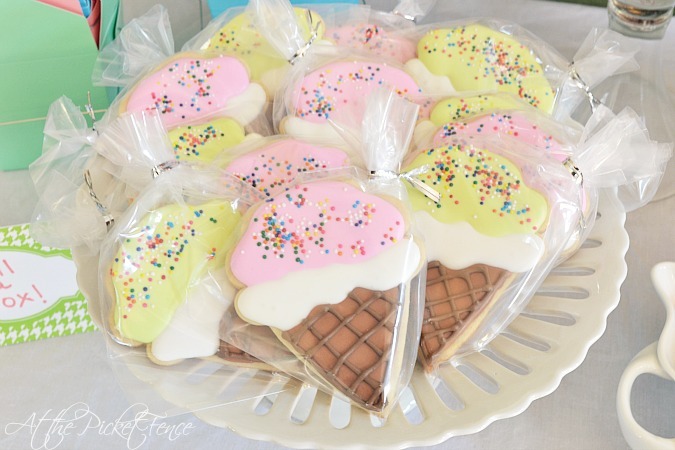 My incredibly talented friend Christine made these adorable ice cream cookies and there was no doubt that they were the hit of the party! Don’t you love how some of the “ice cream” looks like it’s dripping? 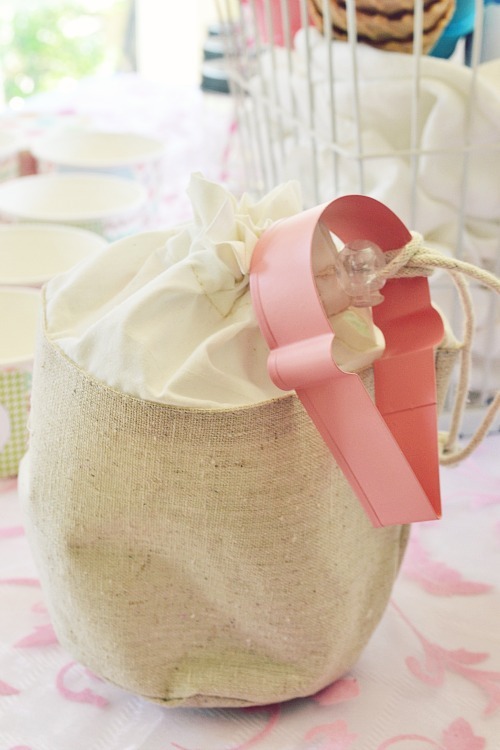 Party favors were placed inside simple muslin bags with an ice cream cone cookie cutter attached. And on this beautiful day in July, we celebrated our sweet, wonderful girl. This girl we prayed for, longed for and are blessed to call ours. Being her mommy (and her brother’s too!) is the greatest privilege in my life. She brings joy to our lives every single day. She is the epitome of “little girl” and yet can dig in the dirt and wrestle with the best of them. She skips her way through life and is just so happy. Everyone she meets is a friend…truly EVERYONE! She brings me flowers every day for my “collection” and often tucks one behind my ear. She’ll say, “I’m giving you this flower so you will see it and remember me mama”. 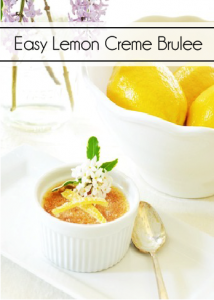 As if I would ever need a reminder of her sunshine-like presence in my life. Being 6 is quite a special thing. There are days filled with stuffed animals and American Girl dolls. Playing with both real and imaginary friends. Picking flowers, creating art projects, jumping on the trampoline, running through the sprinklers and…of course…ice cream! 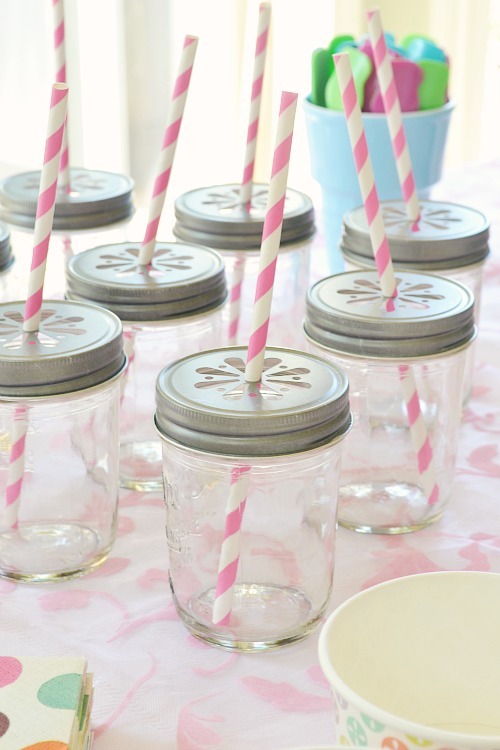 *I purchased all the printables for the party at the Pink Peppermint Prints Etsy shop. 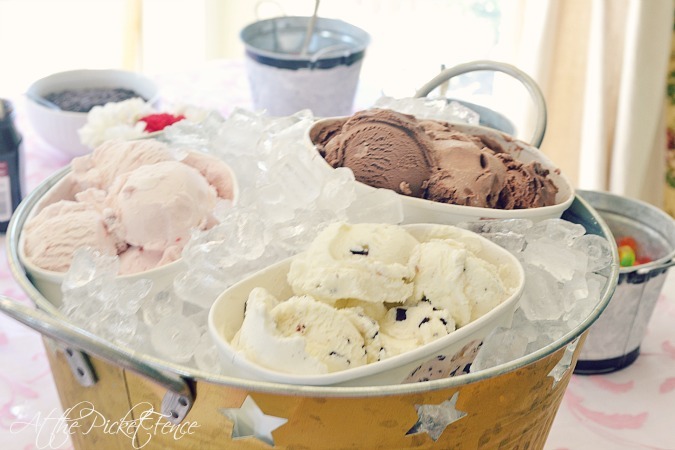 26 Comments on "Ice Cream Birthday Party and Being 6…"
Love this, Vanessa! My two oldest kids have birthdays in December (one on the 26th, talk about planning!) 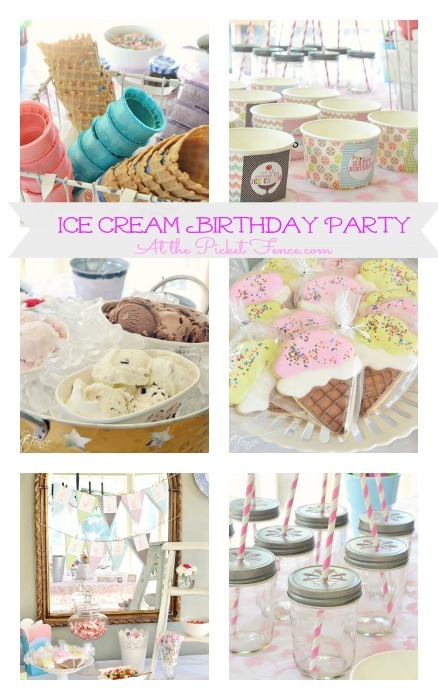 so we would do a half birthday party with friends in the summer and it usually included an ice cream bar. But nothing as beautiful as yours! I love it all! So special to do fun parties that they will always remember! I always love your parties. So sweet! I am loving these pictures! So pretty and I bet your daughter loved it 🙂 She is so cute! 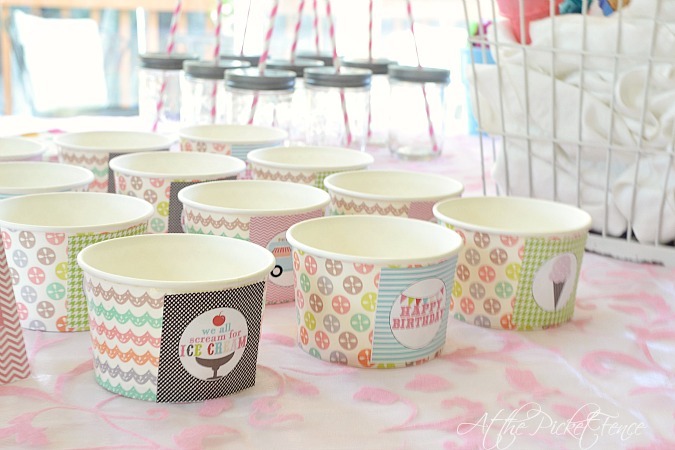 Where did you get the little ice cream cups? Super cute! 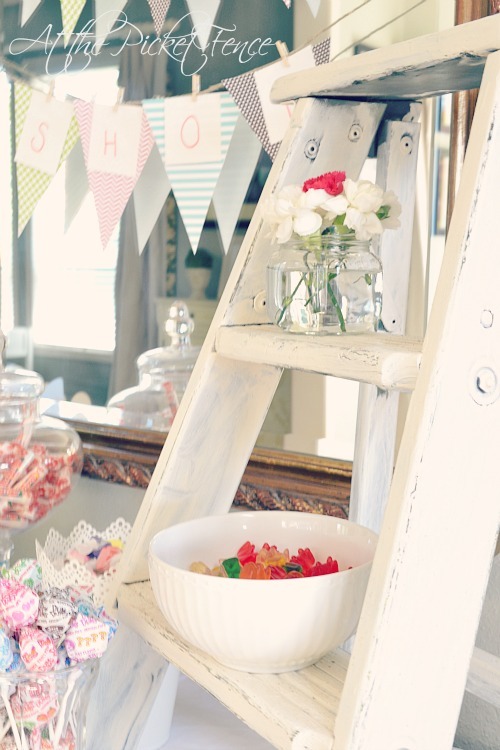 This is such an adorable idea for a party. 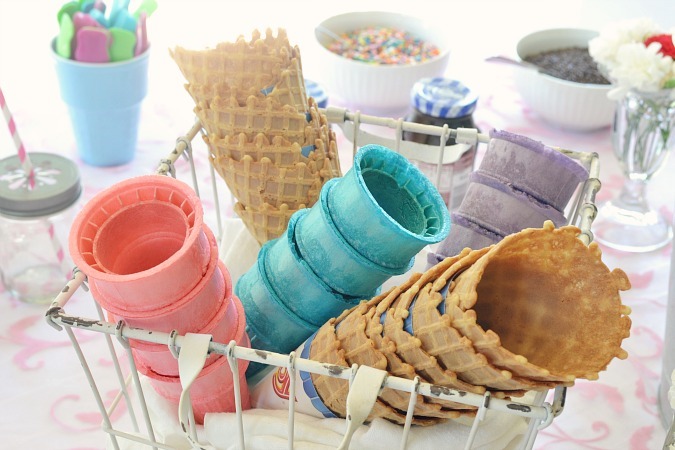 I love the idea about pre scooping the scoops. That was brilliant. 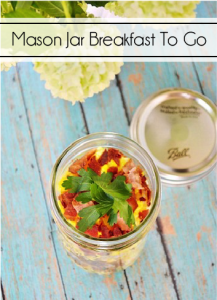 I love this idea, you could use it for so many special occasions! Your daughter is just beautiful! Fun, fun!!! What a sweet little girl, precious!!! Just stunning… I love all of the lovely details! Adorable!! I love every little detail. 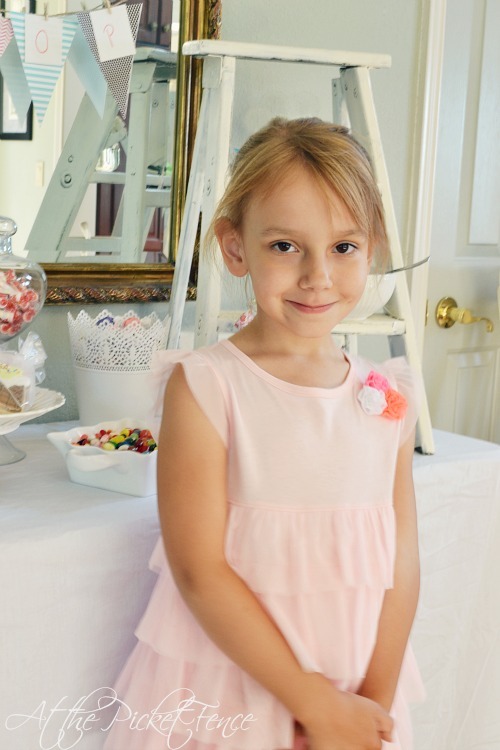 Those muslin bags and the cookies are my favorite… and your sweet birthday girl is SO cute! What a wonderful party. Did you make the cookies? So many cute details Vanessa! 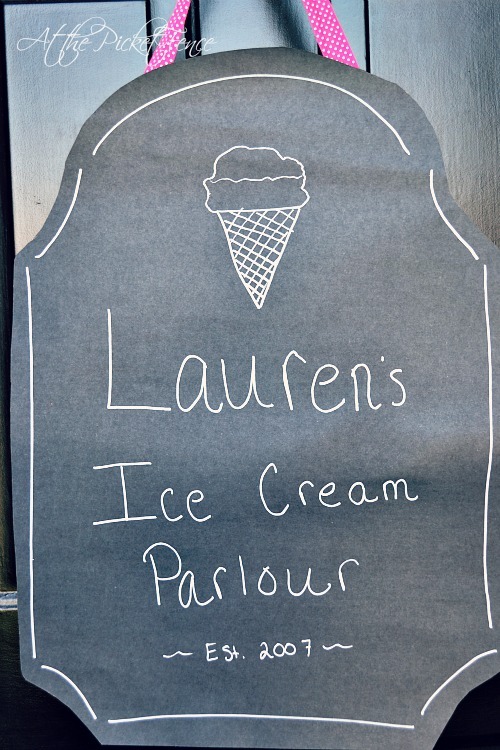 I especially love that you “pre-scooped” the ice cream! Brilliant!! Had to come back again to thank you SO much for sharing at Amaze Me Monday!!! Love it! 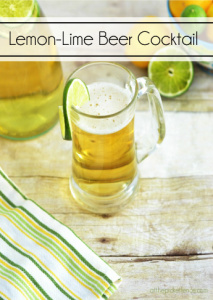 I love a great party – this one turned out so cute! Wow! This is probably the most beautiful party I have ever seen! Enjoy all these moments, they fly by! Thanks for sharing! Oh that is such a wonderful compliment Heather! Thank you so much!